As many of our readers know, the State of Minnesota is unique in that we are the only state in the country with a dedicated pool of funds that provides financial support to eligible non-profit organizations to deliver a variety of homebuyer/homeowner education, counseling and training services to Minnesotans. This dedicated pool is known as HECAT (The Homeownership Education, Counseling and Training Fund). 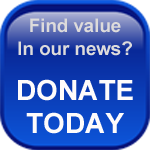 Each of the four funding partners not only contribute financial resources they also actively participate in the grant-making process and provide technical assistance throughout the year. 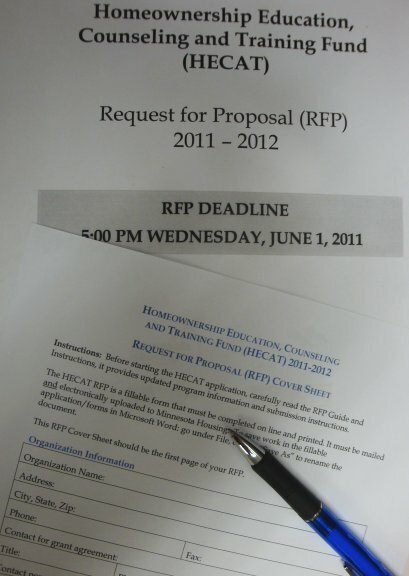 The Request for Proposal (RFP) for funding for programs in 2011 and 2012 (funding year runs from October 1st through September 30th) is NOW OPEN. The deadline for applications is 5:00pm on Wednesday, June 1st. This is a STRICT deadline. For more information about HECAT, or to view the RFP and even lists of award recipients from previous years, visit the Minnesota Housing website... here.